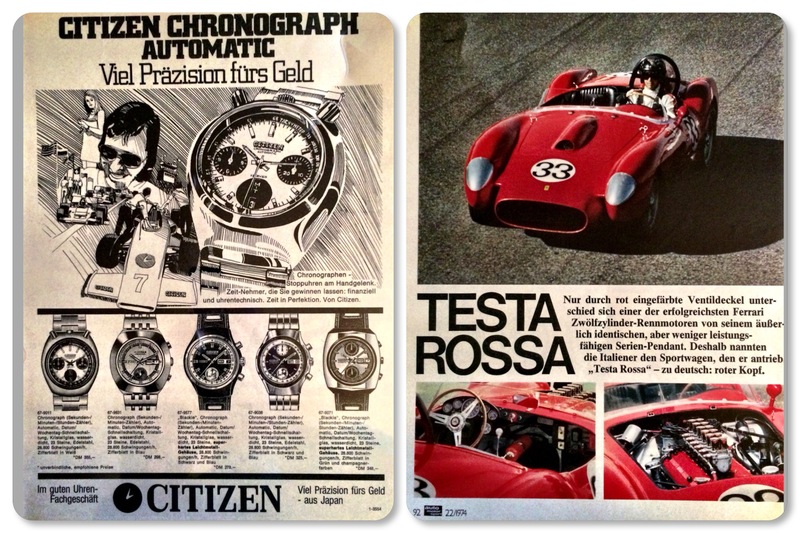 This entry was posted in automatic, Citizen automatic chronograph, Citizen chronograph, Citizen history and data, vintage Citizen and tagged 1974 citizen chronograph, Auto Motor Sport magazine, automatic citizen chronograph, Citizen 67-9011, citizen 67-9038, citizen 67-9071, citizen 67-9577, citizen 67-9631, citizen 8100, citizen 8110, Citizen 8110A, citizen automatic chrono, Citizen calibre, Citizen chronograph, Ferrari Testa Rossa, vintage citizen chronograph, Walter Wolf. Bookmark the permalink. How can I contact you ? My email is pitrolejcek@gmail.com . You can write me there, as a comment on that article and for sure I will write back. I hope I will be able to help! Hello .. I started a Bullhead chronograph repair . I am not a watchmaker but repairing old watch is my hobby…I will appreciate any help to find the 8110A service manual. Thank you for your very interesting web site.